Megan and I picked up the 2005 Ca’ del Solo Nebbiolo from Bonny Doon Vineyards back in November while were visiting the Santa Cruz area wineries. The Ca’ del Solo vineyard is Bonny Doon’s Biodynamic vineyard that received Demeter certification in 2007. 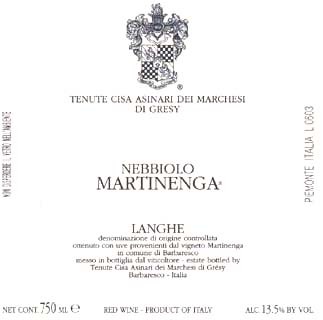 I really enjoyed this Nebbiolo, probably one of the better ones I have tasted from the U.S. A bit pricey at $30, I think we paid around $20 with the industry discount, it is still a good deal. Although under 900 cases were produced it has pretty good distribution so you should be able to find it at your local shop.